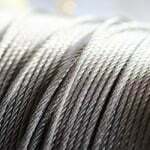 Anyone looking for rigging supplies here on our website will find several varieties of wire rope to choose from. 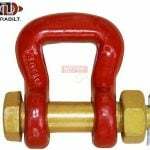 Wire rope is one of the primary materials for managing complicated lifts. 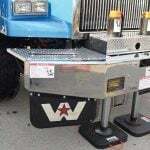 It is preferred by experienced lift masters because of its strength and reliability. As with most things in the Mytee inventory, there is more to wire rope than meets the eye. How it’s constructed, where it comes from, and many other aspects of wire rope remain hidden for the simple fact that there is really no need to know. We want to change that for our readers. To that end, there are five interesting things about wire rope you might not know, listed below. Before there was wire rope, lift masters and engineers relied on wrought iron chains to do the work. But as you might imagine, failure was a common problem with said chains. All it took was one bad link to create a disaster. So engineers had to find a replacement that was both up to the task and would greatly reduce the risk of catastrophic failure. They looked to the engineering of spiderwebs to eventually come up with the design we now know as wire rope. One of the things engineers learned by studying spiderwebs is that a helix design offers incredible strength. The helix design starts with a single wire that acts as the core of the rope. Additional wires are then twisted around the core and fastened together. This design spreads the force of a load across multiple wires instead of a single link of chain. If there is one flaw to the helix design, it is the fact that the individual wires that make up a rope can wear out over time due to friction. But it is not a big deal for the most part. Why? Because individual wire strands rarely fail at the same time. Initial failure is generally limited to one, in which case the remaining wires are more than capable of carrying the load. Historically speaking, the first wire ropes were manufactured to support mining operations in the 1830s. Lift masters in Germany used them to replace metal chains and hemp ropes. The first wire rope produced in the U.S. appeared in the early 1840s. Its purpose was to provide support for suspension bridges. By the late 1840s wire rope was used heavily in the railroad industry for a variety of different purposes. That led to a number of manufacturing plants opening across United States producing wire rope in ever increasing volumes. 1. Running Ropes – Stranded ropes used over sheaves and drums that will bend them. 2. Stationary Ropes – Spiral ropes capable of carrying fluctuating tensile forces. 3. Track Ropes – Fully locked ropes capable of handling the kinds of forces typical of crane lifting. 4. 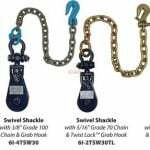 Wire Rope Slings – Stranded ropes used as harnesses for lifting. So, how did you do? If you knew all five things mentioned in this post, you know more about wire rope than the average person. One last thing to know is that you can get the wire rope you need for your rigging jobs here at Mytee Products.